Black Brothers, Inc. on Kindle! 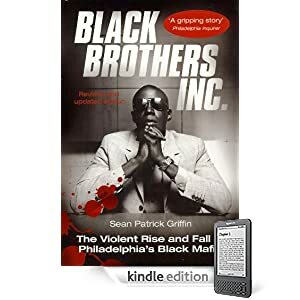 I can’t guess how many people have asked me when, if ever, Black Brothers, Inc. would be available on Amazon.com’s popular Kindle. Well, the moment has arrived! I need to thank Pete Walsh of Milo Books for being so proactive with this. 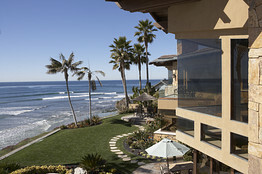 For a mere $29 million, you can purchase one of the world’s most consequential sports bettor‘s properties (the linked WSJ piece includes insights into his vast enterprise). The latest interview regarding Gaming the Game was published yesterday on Covers.com, a popular and influential web site covering sports and related betting information and analysis. **Please know that when I get the time, I will be posting a commentary about what was edited out of the piece, and how such editorial decisions have adversely affected the public’s understanding of the NBA betting scandal until now. You can also find the interview posted in two parts here: Part I and Part II. I taped an interview with Steve Trevelise for broadcast during his show tonight (technically for early Saturday morning [4/2/11], 1:00am – 5:00am) on Philly’s 610 WIP. The segment will be re-aired during his show early Sunday (4/3/11) morning, between 2:00am and 6:00am. As I explained to Steve during the interview, a large percentage of the writing for Gaming the Game took place with him or his fellow early morning WIP host Big Daddy Graham on in the background. I appeared briefly (notwithstanding cell phone issues!) with Max Kellerman and Marcellus Wiley today to discuss Gaming the Game. 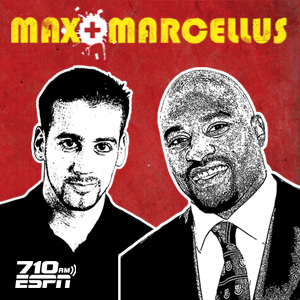 The “Max and Marcellus Show” airs on ESPN 710 (Los Angeles). Podcasts of their shows can be found here. Each Thursday night in April at 7:00pm, Philadelphia-area Comcast subscribers will be able to watch a 30-minute interview conducted by Dr. Moylan C. Mills, Professor Emeritus of Integrative Arts at Penn State. The segment largely focuses on Gaming the Game, with a few comments about my work more generally, including Black Brothers, Inc. The program, The Lion Roars, airs on Comcast Cable Channel 190. There will be several of these engagements in the coming weeks, spread throughout the Greater Philadelphia region. These events have been entertaining thus far, and I very much enjoy the Q & A session and hearing the thoughts of others regarding the big-time sports betting world and, especially, about various aspects of the NBA betting scandal. Thursday, April 7, 2011 from 7-9p at SmokeEaters Pub, 7681 Frankford Ave., Philadelphia, PA, 19136 (Frankford and Sheffield), (215) 338-4188. 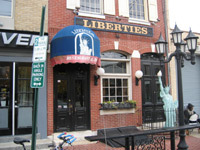 Thursday, April 14, 2011 from 7-9p at Liberties Restaurant and Bar, 705 N 2nd St., Philadelphia, PA 19123 (2nd and Fairmount), (215) 238-0660. There are numerous things in the works regarding Gaming the Game (book events, signings, press coverage, etc.). I still need to post some media coverage from the past few weeks when I get the time (I am in the teeth of an academic semester right now). Until then, interested parties may wish to know that I’ll be appearing at the Chester County Book & Music Company on Monday, March 28th at 4pm, where I’ll sign books and entertain questions. CCBMC has requested that attendees RSVP. I will also be there earlier taping an interview for broadcast on Brandywine Radio. The segment, which will be hosted by local author (among other endeavors/titles) Bruce Mowday, is set for broadcast at 5pm on Friday, April 22, 2011. Here is a related story in the Delaware County Daily Times.